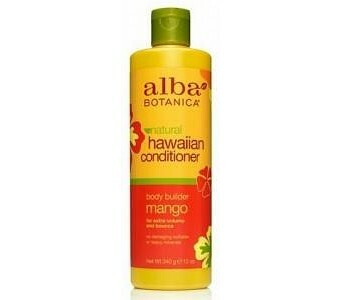 Exotic fruit extracts and nutrient-rich sunflower oil moisturize, nourish and protect for silky, strong, healthy hair. No synthetic colors pH balanced 100% vegetarian ingredients and no animal testing Features and benefits: This daily use conditioner provides nourishing hydration and refreshes with the aroma of mango nectar. Certified organic aloe and sunflower oil moisturize while tropical nut oils protect and repair. Enriched with shine-enhancing awapuhi for silky, strong, healthy, manageable hair. Who should use this product? Gentle for all hair types. Directions for use: Apply to clean, wet hair. Leave in for 2-3 minutes and rinse. Signature ingredient: Vitamin-rich pineapple extract nourishes as soy protein strengthens and kukui nut oil moisturizes and repairs. Ingredients: Purified water, certified organic aloe barbadensis, cetearyl alcohol, ceteareth-20, stearamidopropyl dimethylamine, certified organic helianthus annuus (sunflower) seed oil, dimethicone, extracts of ananas sativus (pineapple), carica papaya (papaya) and zingiber zerumbet (awapuhi), citric acid, panthenol (pro-vitamin B5), soy protein, vegetable glycerin, simmondsia chinensis (jojoba) oil, macadamia ternifolia and aleurites moluccana (kukui) nut oils, carica papaya (papaya) oil, ethylhexylglycerin, behentrimonium methosulfate, amodimethicone, sodium benzoate, fragrance.